In just a few decades most houses were filled with appliances of all sorts and most housework basically depends on them. It is self-evident that appliances repair would be needed, especially if they break down after some years and continuous daily use. When a dishwasher fails to operate properly, it doesn’t mean you have to hand wash the dishes and you won’t have to throw food away, if there is something seriously wrong with the fridge. In these cases, it would be your chance to get in touch with Appliance Repair Milton and evaluate its exceptional work. You can see how a problem can turn into an opportunity to enjoy our great appliances repair service, which will keep each oven, fridge or washer from breaking down again. Every appliance service technician of our company is perfectly aware of the importance of our work especially these days when people have literally no time for housework and they would actually prefer taking an excursion to the beautiful sites of Ontario during their limited free time. Despite its deep industrialization, the province still has amazing trails and natural parks but many people have moved in Milton, where they can enjoy these natural beauties, outdoor activities and the fabulous historical center on a daily basis. 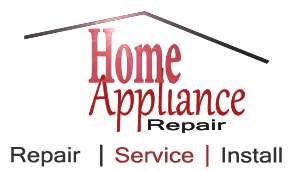 We offer full home appliance repair and this practically means maintaining all appliances regardless of the type, age and brand. Every service provided by Appliance Repair Milton is a guarantee for the long life span of each refrigerator, oven or washer. We respect your time, understand your anxieties and appreciate the efforts of all businessmen to keep their own clients satisfied. For this reason, we are very experienced with commercial appliance repairs, too. Thanks to our expertise, knowledge and experience you can forget about problems today.